Having more than one source of heat is a good idea for anyone that wants to be better prepared for a natural disaster or a man-made one. The power grid going down for any reason at all is enough to leave a lot of people in the cold. Even some alternative heat sources can require some electricity to power ignition or fans. Deciding on what back up is best for you is a big decision. 12 Not all woods are the same. Some back up heat is better in one area than another. There is no one perfect back up heat out there. There are going to be advantages and disadvantages to any heat source. Personally, I prefer wood because I can gather some up pretty fast. It does not rely on fossil fuels to provide me with heat. I don’t have to get a delivery man or rely on a huge truck that burns a lot of diesel to get it to me. At the same time I own a section of woods and my husband and I are at the moment physically able to do the work having inexpensive wood heat requires. For us it is the best. For other preppers, having a few hundred gallons of heating oil or propane put back may be far more practical. Always remember that one of the golden rules of prepping is knowing your situation and planning your preps for your needs not what works for others. The purchase and installation of any back up heat source can vary a lot depending on how much work you are willing or able to do yourself. A wood stove system has a lot of associated costs like a heat shield for the floor and a chimney. Propane systems can require getting your local dealer involved, building inspections, permits, etc. There are plenty of used heaters and wood stoves out there. These are sometimes a good investment and offer the potential of substantial savings. If you have a used appliance store anywhere near they can be great for oil and propane heaters. We recently got a Monitor Oil Heater for my father to replace the one that he had that got fried in a lightning store and we got a 90 day warranty with it for the same price that a lot of people on Craigslist wanted for similar models in not as good condition! Definitely use caution when buying second hand heaters without any opportunity to see that they work with no hiccups. Sometimes parts for oil heaters in particular can be expensive or hard to find even if it is an older model. If you are putting a wood stove in a get away cabin or just as back up you might be able to get a used wood stove. Those that are doing renovations or new construction should be cautious about buying used stoves because some of them do not meet the new EPA standards and are therefore not allowed by building code enforcement. Find out the rules in your area before looking for a used stove if you know the inspector is going to be involved. You don’t want to have to tear out a stove and then find a buyer. If you find a stove that looks good on the outside but is missing firebrick do not despair. Any home improvement store will have firebrick. 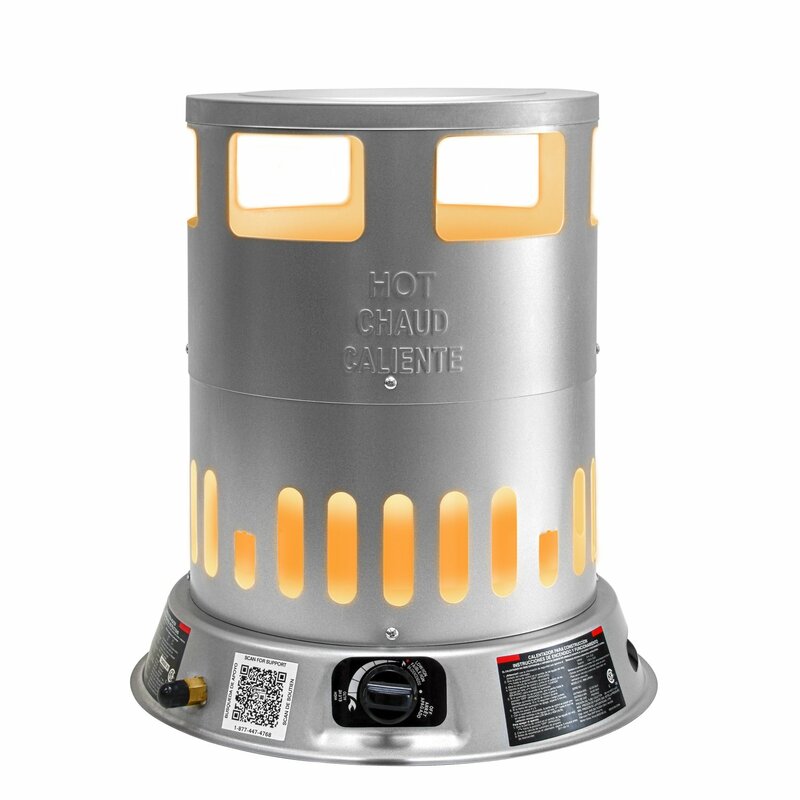 Lowes or Home Depot always seem to have it or you can check out any store that sells wood heaters. A wood stove is the classic backup heat source but it is more complicated than a lot of people might think. 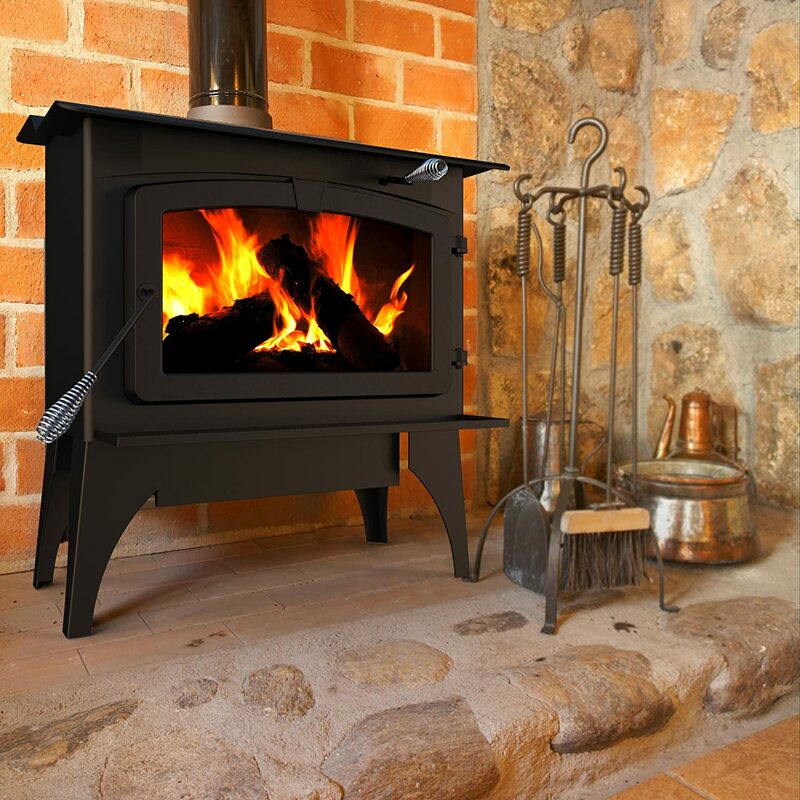 Here are few things that you need to consider when considering a wood stove. Installing a chimney is serious business. You will be cutting a hole in your roof or the side of your house.This is something that you want done right. A very basic chimney will cost at least $1,000 if you do the work yourself and have a 2 story house. If you have a single story house then you might get by with slightly less. When my husband and I put a wood stove and chimney in the house we built we spent about $700 but that was 7 years ago when things cost less. The hearth, stove, and chimney we built and installed in the house we built. This is summer time when it was not in use and we needed a place for the wine we were making from 120 lbs of blackberries we picked off the mountain over a few weeks! This is the basic pass through kit that you need to install a chimney on a roof that has a pitch no more than 22 degrees. For cathedral style roofs you have to get a kit that has the “boot” or flashing to work on a steep roof. This type of pipe must be used until you get into the house and into what is called the pass through kit. This is not just so that you can pass building code, it is a fire safety issue. This pipe is designed to reduce the chance of a chimney fire. It costs a lot more than black stove pipe so be prepared for some price shock. Burning green wood can cause creosote buildup that means you have to clean your chimney more often. Never put off cleaning a chimney. Once in awhile stick a flashlight in there and take a peek to check for build up. Chimney fires are very preventable with a reasonable maintenance routine. We just use a manual brush on our chimney but you can get some that hook to a drill and rotate so you don’t have to work as hard to clean. If you burn a lot of wood don’t be surprised when you have to clean your chimney several times per year. Make sure you get a brush that is the right size for your chimney. 6 inch and 8 inch are the most common sizes. You will have to buy rods too. If you have a 16 ft chimney you will need 4 rods since they come in 4 ft sections. If you have more than 4 feet of chimney pipe on your roof you might want to brace it against high winds. This kit prevents your chimney from becoming damaged and it is well worth the investment if your climate calls for it. 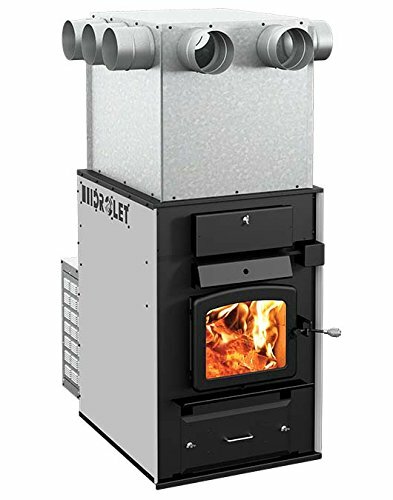 This woodstove heats up to 1,200 square feet and meets the new EPA guidelines for woodstoves so you can put it in new construction or additions and meet building codes if needed. The maximum heat output is rated at 37,000 BTUS when using dry and seasoned wood. Pleseant Hearth has a good reputation in the world of efficient wood burning stoves. This is a large stove suited to bigger homes and those that want to utilize wood heat for a portion of their heat on a regular basis. The maximum heat output is 77,000 BTUS using seasoned dry cord wood. 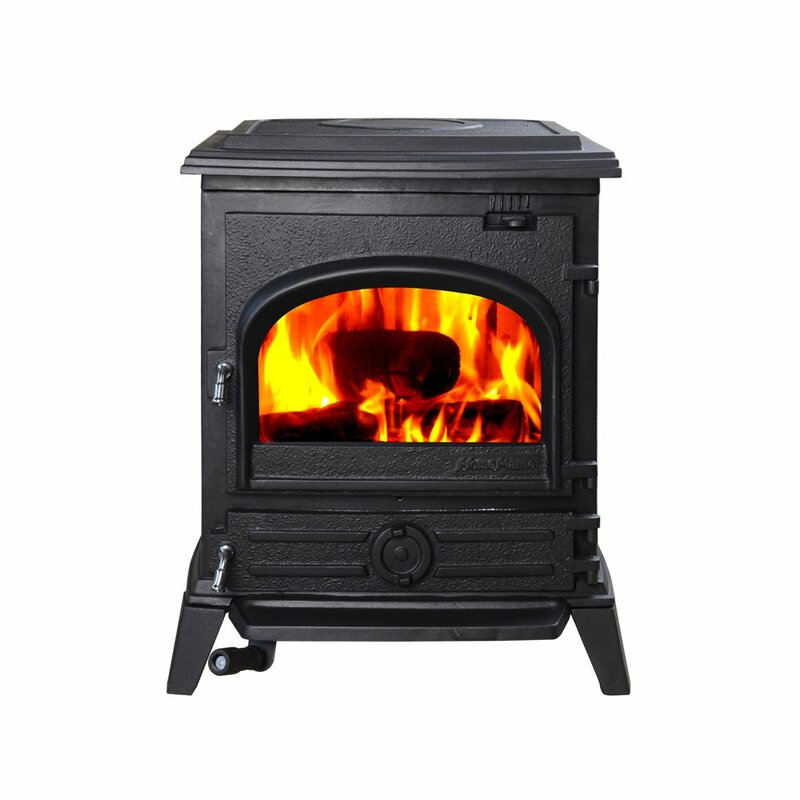 It can accommodate a log up to 20″ long and uses a 6 inch stove pipe. Not all woods are the same. The denser and more resinous the wood the longer it will burn and the more BTUS you will get. You will have to be able and willing to do some work or hire some of it out. Felling trees, bucking them up, hauling, splitting, stacking, and having a place to store it is all things to consider when it comes to wood heat. Some people just pay for someone to deliver them a few cords of wood. Depending on where you are at this might be economical or it might not be worth it. Firewood tends to be less expensive in more rural areas due to availability and transport costs. Warning: If using unvented propane heaters it is crucial to maintain ventilation in your home so oxygen levels do not become depleted. Some heaters have sensors on them that make them turn off if oxygen levels drop to a concerning level and some do not. People use propane heaters a lot but you have to be aware. While propane does have to be hauled in and stored, It has a lot of potential for back up heat. 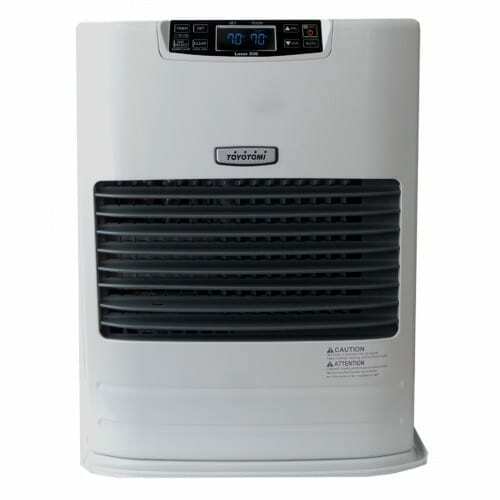 You can get propane furnaces and heaters that require no electricity to operate or that need very little to run a fan. If you live near where it is feasible to get your own tanks filled or have a truck come occasionally. These wall heaters are a popular choice for quickly installing back up heat . They have an attractive blue flame and put out an amazing 30,000 BTUS of heat for a low price. This heater is vent free so you want to be make sure your home has some ventilation, especially if you have to use the heater a lot. This unit has a built-in oxygen depletion sensor for your safety. 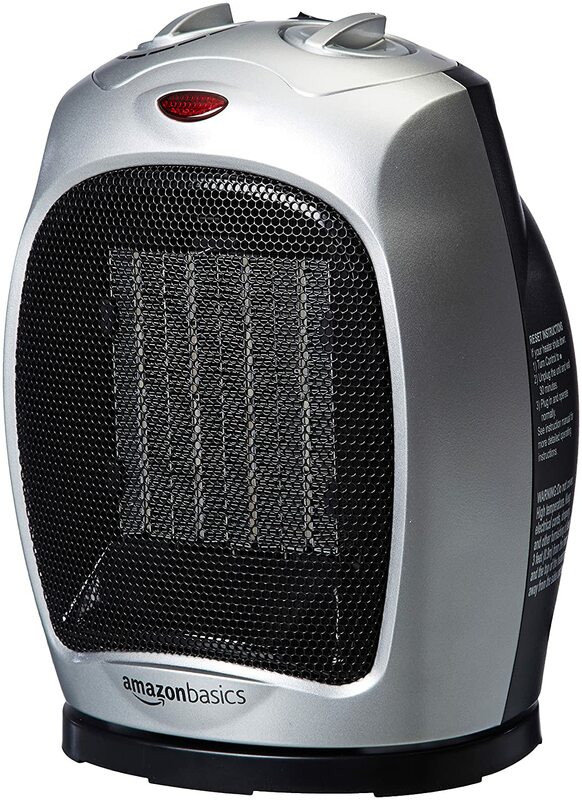 For inexpensive heat in a large central space this is a bargain for a heater. For under $100 you get a heater that can heat up to 2,000 square feed and you can adjust the BTU output. It only weighs about 11 lbs so it is easy to store and move this heater around. The base is designed to make the heater hard to tip over. It is designed to provide 360 degrees of heat. A 10 ft regulator and hose is included. Propane as a back up heat source makes a lot of sense if you are already using a gas stove in your home. Although you have to be careful, you can use your gas oven and range as a source of back up heat if you really have to. I have a 24″ range and oven. The output of the oven is 40,000 btus when turned all the way up. If you want to be more productive you can use it being cold as an excuse to bake bread or whole meals. Baking definitely warms up the house! Further Reading: Be sure to check out the BDS Primer on Prepping here if you are considering this as an option. Oil heat offers an amazing source of concentrated heat but it can become expensive since the cost is tied to the barrel price of oil and demand. Portable kerosene heaters are commonly available. The problem is that they can sometimes be a bit smelly and you have to be careful about venting and air flow. 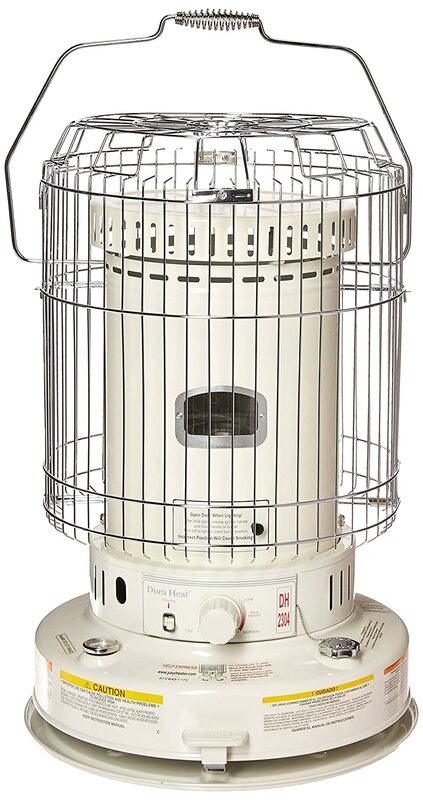 This kerosene heater provides 9-12 hours of heat on a single 1.9 gallon fill up of kerosene. At under $200 this is and inexpensive back up heater. It is rated to 23,800 BTUs and has the advantage of providing 360 degrees of radiant heat. Built-in oil heaters are nice but they do not run if the power goes out. Oil heaters are often made in a box style like the popular Monitor oil heaters that are no longer made but can be found used. The cost of heating oil compared to electricity have made it harder to find oil heaters for in home permanent installation but they are out there. The only manufacturer I can find of oil heaters is Toyo Stove. 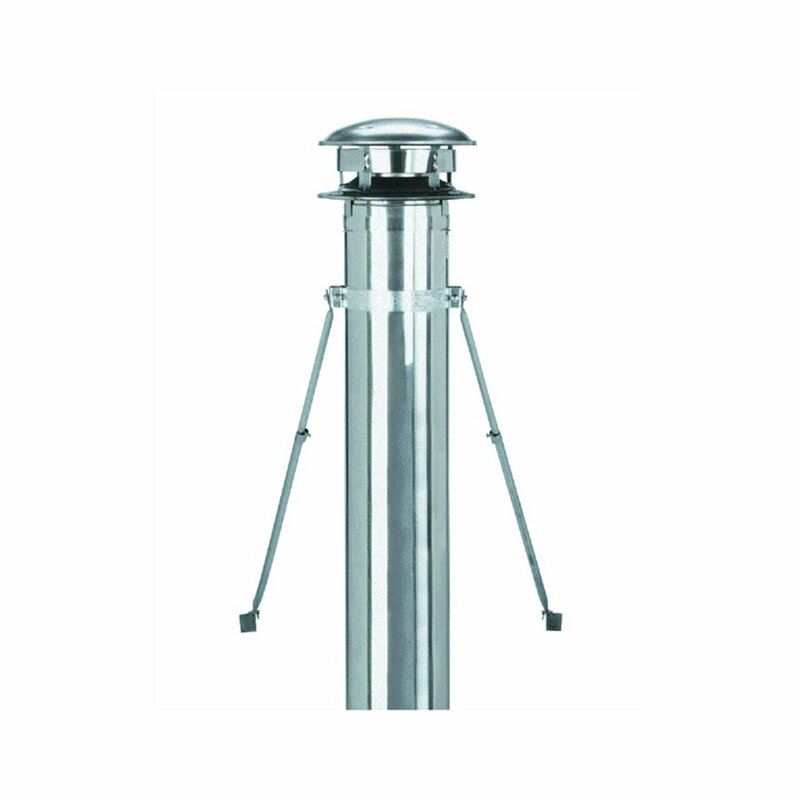 If you know of any other manufacturer of oil heaters for built in use, please comment and share! 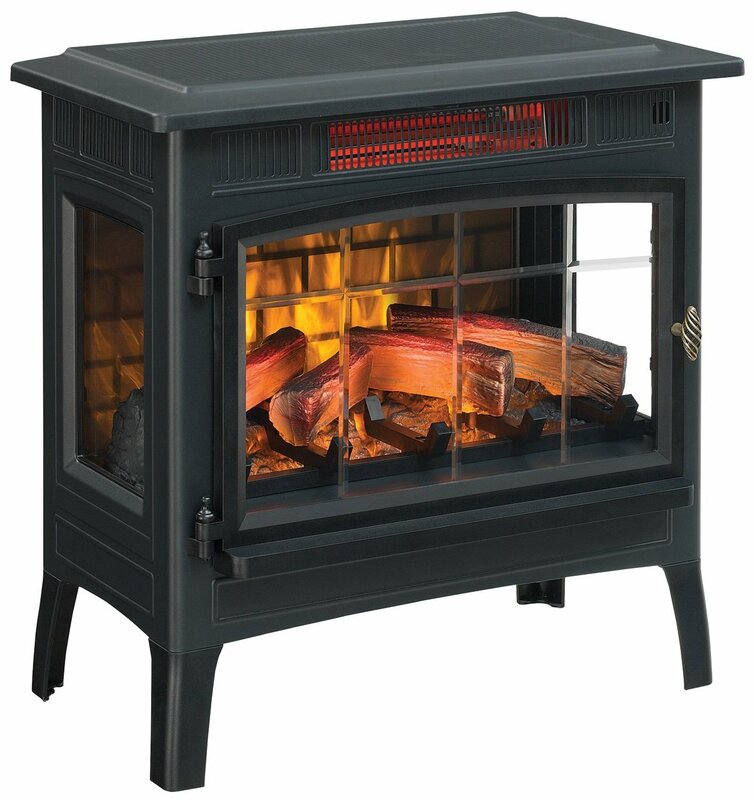 Toyo Stove is very popular in the colder parts of Alaska where oil heat provides the high level of BTUs required to comfortably get through the winter. These are more serious systems that require a lot of installation and normally used as a primary heat source. I think they are worth mentioning though because they offer an alternative to a traditional wood stove and they are an option for those that are looking for a centralized heat system that does not rely on electricity or petroleum-based products. Wood fired furnaces take up a bit of space outside so you have to be willing to dedicate some to your backup heat source. 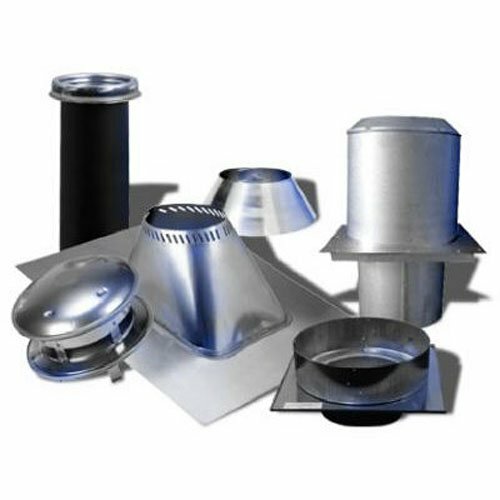 There are wood fired furnaces that can be installed in basements and use a central duct system and plenum. Of course, this system means you have to go downstairs and feed the furnace a few times a day during very cold times. This furnace produces up to 350,000 BTUs and can accommodate 6-10 vents thanks to the included adjustable plenum. The cost includes delivery so that is nice. There is a sensor that detects the temperature in the plenum and varies the speed of the blower accordingly. If you want to have a traditional style central heat system but still use wood, this is not a bad option. One benefit I can see is keeping the wood mess down in a basement rather than upstairs in your home. I love my wood stove but it sure takes some work to keep the hearth and surrounding area clean when we are burning a lot of wood. Carrying wood into the house also results in some debris on the floors that must be swept even if you are careful carrying it in. Better than nothing but if you can choose a woodstove or fireplace insert instead, you will get more heat per load of wood. While fireplaces may look pretty they are not efficient sources of heat.If you like the look of a fireplace than get a woodstove insert for it and you will get 75% more heat out of your wood. Fireplaces are a relic that people used when they had to and they are better than nothing but prepare to sleep near the heat source if you are relying on one to be comfortable. If a furnace goes out or you are sick or injured, it can be nice to have some electric heaters to plug in and use as needed. This can also help supplement if you get a really long stretch of colder weather and need a little extra heat so your other heat systems don’t struggle as much. 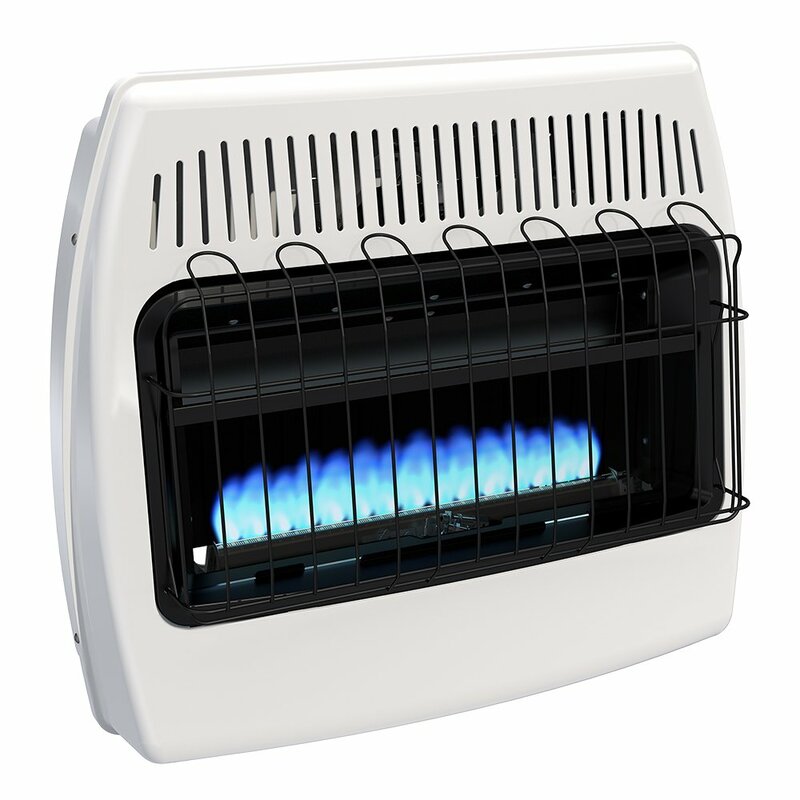 Any plug in model electric heater you get is normally limited to 1500 watts and has a 750 watt settting when you need less heat. You can pay as little as $25 or you can pay up to $200 for some of the infrared style heaters. If you like something that offers the look of a little fireplace then you can get these types for a modest price. There is nothing wrong with the classic ceramic style small heaters. This is a classic design that you can get for about $30. It takes up little space so it is easy to store a few of these in a closet or cabinet for back up power. If you need to add some extra heat in a basement or outbuilding to keep pipes from freezing, it is hard to beat these heaters. We even use these to help warm up lambs or other small animals if they get chilled. This electric fireplace is ready to use right out of the box and is easy to move around. It has a safety shut off and stays cool so you don’t have to wait around if you need to move it or have kids and pets around that you worry about getting burned. This Duraflame fireplace uses infrared technology and is made of very high quality materials. While this may cost more than some electric fireplaces, it is going to last and be able to stand up to long-term use if required. This is a very pretty electric heater that uses a 3D flickering flame effect to give it the look of a cozy fire. 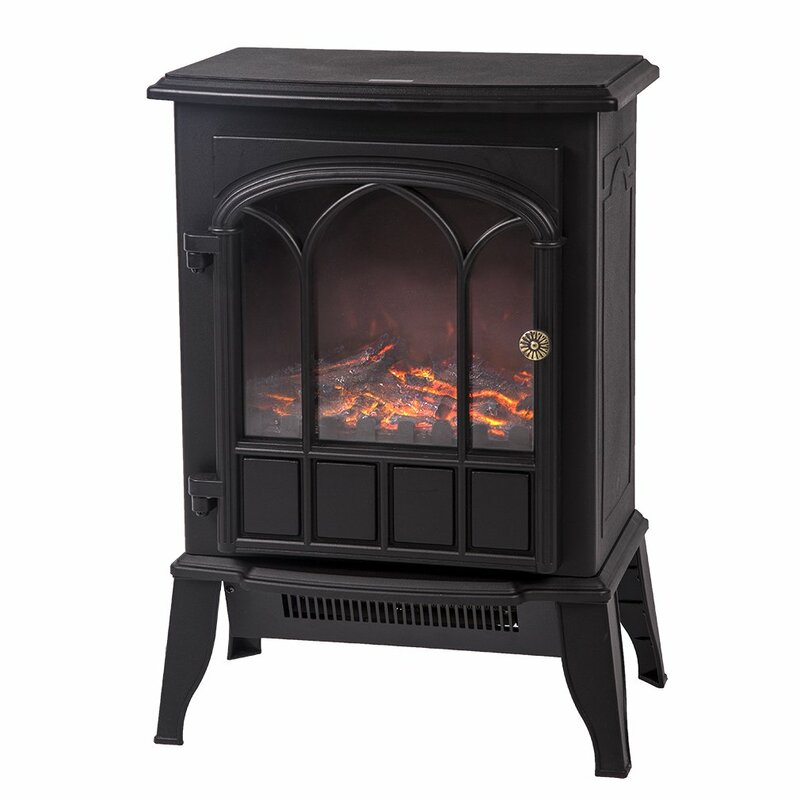 This type of heater makes a great choice for those that love to watch a fire but cannot have traditional wood heat. Taking care of older people made me realize just how scared some are of electric heaters causing a house fire. I want to point out that heaters are made differently than they were years ago. Most electric heaters have a safety built in so that if they are picked up or knocked over, or get too hot they will just shut off. Even our little $30 ceramic space heater will not function unless setting firmly on the floor. Regardless of what type of back up heat you choose, it is going to take a supply of fuel of some sort. Storing fuel takes up a lot of space but some methods are more space friendly than others. I am going to list some options for various fuels that vary in cost and availability depending on your area and how well you are set up at the moment. Underground tanks are available but they require specialized installation and you have to have a truck come fill them. There is no option for hauling propane in yourself with this method even if you figure out how to bury a tank yourself. I have to point out that in my experience, propane companies are very cautious about servicing thrown together systems in any way. They can refuse to fill any tank they do not think is up to par. There are all sizes of propane tanks but the most common sizes are 20 lb, 40 lb, 100 lb, 250 lb, and 500 lb tanks. The smallest size most companies will come out and fill is the 250 lb size. If you are handling tanks yourself than the 20 lb size is very convenient. 40 lbs are manageable but the 100 lb size means you need some help. Tanks are made to be out in the weather but it is still best to keep them in a covered area if you are storing long term. A piece of plastic roofing or anything will help. I remember back when I was a kid and we had a woodshed in the North Cascades of Washington State. It was about the size of the bottom of the house I live in now in North Carolina. If wood is your primary or back up heat source than it is best to have a dry place to stack it. Don’t get me wrong we burn plenty of wood in North Carolina that is just stacked outside with no cover but we have another heat source to rely on too. A woodshed is definitely on the extensive list of projects we have to do. If you are in a pinch you can put a piece of plastic or metal roofing over a rick of wood and weigh it down. 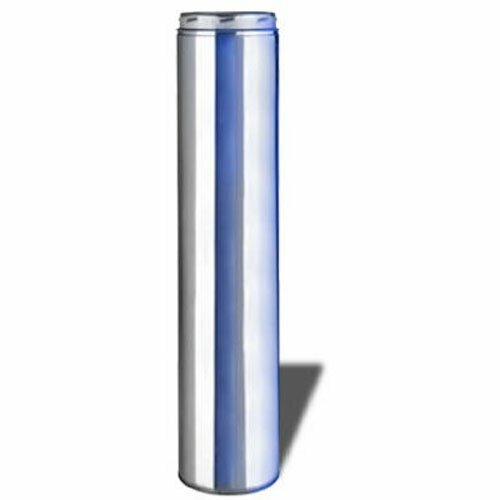 Oil heat involves having an aboveground storage tank that is usually right on the side of a house. You can get tanks in a variety of sizes. 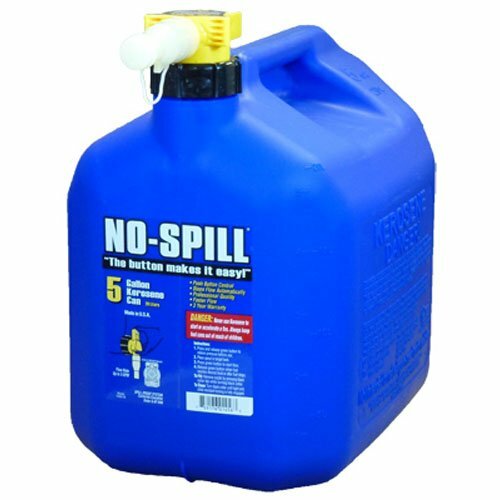 If you want to have some extra fuel oil on hand after getting your tank filled you can buy it at dealer and have them fill approved containers. Gas stations often sell it to so you can pick up some to put back when you are topping off your gas tank. Over the years homesteading has taught me that tarps are good and bad. For long term covering up things they are not great because they do not breathe enough. Covering wood with a tarp long term just encourages moisture retention and rot. If you cover metal tanks they can encourage rust. Tarps are great for just covering up something for a day or two but you are better off in the long term using old roofing tin or plastic roofing sheets if you don’t have a shed. It might be good idea to have a variety of heat sources available for emergency use. If your oil or propane system goes out then having some electric heaters to plug in can be helpful but you may want to also have a large radiant heater that runs on oil and requires no power for those times when electricity is not an option and other heat sources cannot work at all. Remember that while propane heaters and furnaces will work without electricity, they will not distribute heat as well because blowers and fans will not be functioning. Having some small portable units can have advantages over those that are larger. Smaller units can be distributed throughout a home or building for more evenly distributed heating. What type of back up heat do you use? Do you have plans to change what you use? Check out the Williams wall furnace. I installed one in California and it runs on Natural Gas and there is a propane option. It is a “gravity model” there is no fan and it does not connect to electricity. It worked fine for my 1000 sq ft house but you have to leave the doors open to heat bedrooms. Or, close those doors and just heat the livingroom. We have a Woodstock Stove from Lebanon, New Hampshire. It has a catalytic burner that burns the smoke after getting to a higher temperature. It has been excellent, is attractive, and radiates heat from the soap stone construction long after the fire is out. It is a shame you did not look into the Century fireplace furnace for renovations or new construction. This unit is in a category all its own. I have had a Century 36″ model for over 20 years and it has been the only heat source used for the house. It is the most efficient wood burner out there (92.5%) without a catalytic converter. I have heat with or without power. It is connected thru the duct work to give even heat thru out the house, if your house design requires it. It uses the existing blower from the propane furnace and a second thermostat. The open design of our house does not need this fan but it is there. The house is over 35oo square feet. I have a propane furnace backup because the government would not give me an occupancy permit without it. The only time the gas has been turned on to the propane furnace was one time, during construction, to make sure it worked. If you like the look of a fireplace and want one that will heat your home a Century is the only option. To keep the mess down I installed a wood elevator that is loaded in the basement and brings at least one days wood up right next to the fireplace. The Century was by far one of the best decisions I made during house construction. I prefer to use standing dead trees and those that have already fallen in the forest. I have 100 acres and can’t keep the dead trees cleaned up from the woods but every piece I burn for heat is 1 less piece that will feed a forest fire. How many units do you know of that can burn a log (12″ round by 36″ long) without splitting it first. Saves a lot of labor and you don’t have to go outside at night or during inclement weather to feed it. Besides electric heaters as backup for my natural gas furnace (and my stove I suppose) I have a Mr. Heater portable propane heater running on 1 lb tanks or a standard 20 lb barbecue style tank for the potential case of having no electricity at all. It’s only rated for 200sf (4k-9k BTU) but I could isolate to a single bedroom or section of the house if needed. It has a tip over switch and O2 sensor. Question, what typically happens to natural gas supply when electric power is out for an extended period? I would think power would be needed to keep it flowing but I don’t know. The only problem with oil heaters (besides the smell) is actually finding fuel. When I was a kid, every “Service Station” had a Kerosene pump and it was cheap. Now you can’t find “bulk kerosene” anymore and the only thing you CAN find is half gallon cans at Walmart for $8.00 each! A reminder that whatever alternative heat source you decide to use, please have a fire extinguisher handy. We have supplement heated with kerosene since I was a child, and well into my adult years. Never had any troubles until this year. Got distracted, and the heater was ‘locked’ into a high burn. Needed that fire extinguisher. To Bruce, it has been posited that natural gas would continue to flow, at least short term, in some emergency situations, and would be more reliable than electric. That depends on the emergency, and how much back up fuel the natural gas depots have to run on. And Texas Scout, look at places that sell/service RV’s. While we have several gas stations in town that carry kerosene, I know a local RV place has propane, not sure on kerosene. Also, check local mill stores? A call to our natural gas company said if the electricity is out, they have a diesel back up generator that will work for 2 weeks, after that the gas won’t get to your house until the electricity comes back on. Many, if not all vent-free propane heaters can’t/shouldn’t be installed at high altitudes. Better look into this before buying one. A direct-vent propane heater which uses outdoor air for combustion might be a better/safer choice.